Due to the high reliability, excellent crop cutting, and overall adaptability to varrying terrains, the 100 series cutterbar is a staple in the premium series. See for yourself by taking a closer look at what the 100 series cutterbar has to offer. Protection should an obstacle be struck: the PROTECTADRIVE system is designed to protect the cutter bar gear train and minimizes the risk of downtime. High wear resistance: knife attachment hardware is fully protected. For added safety, heat treated steel cups are welded to the disc. Withstands the highest loads: special high-capacity bearings fitted in a one-piece sealed housing are not subject to distortion. Minimum wear or distortion risk: idler gear fasteners are located in heat treated steel cups. Correct alignment is ensured without the risk of distortion. Long term reliability: large-diameter gearwheels in high tensile forged steel with reinforced teeth. Perfect sealing: top-quality o-rings used on cutter bar Bearing housings for a perfect, leak free seal. Inside A Cicoria Baler, important features. 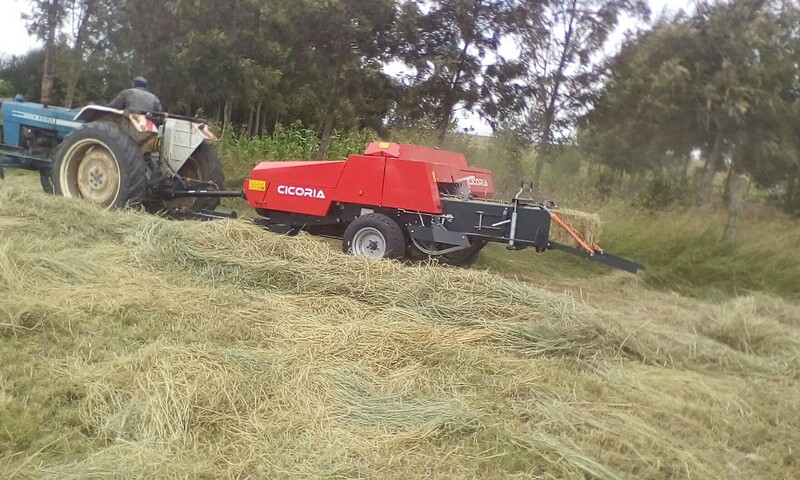 The extremely robust range of cicoria rectangular balers has pick-up widths ranging from 1.4m to 1.6m and are specifically designed to suit the requirements of small farms with small horse power tractors, and mid sized farms requiring a high output at low baling cost per hectare. Common features on all models would be the high rate of work coupled with low cost and exceptional performance. 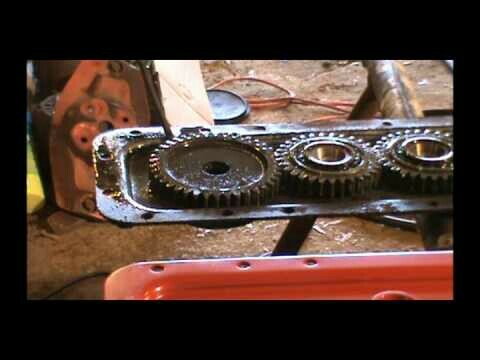 The general transmission is by means of a helical gear reduction and a single oversized chains. To prevent overloading and damage to the gear reduction, plunger, forks, knotters, and needles, a friction PTO over run clutch and four safety bolts are fitted as standard protection. To reduce maintenance work and ensure trouble free long life of the transmission, automatic belt and chain idlers have been fitted. A counter weight crank and large diameter flywheel give greater working stability when the machine is running even at more than 90 strokes per minute. The extremely robust cold forged plunger runs on a series of 10 pre lubricated bearings and the flotation pick up is balanced by two springs and operated by a V-belt. The quality of of the straw or forage Bale remains constant, thanks to the wide range of fork settings. Large fly wheel for greater working stability. Cicoria conventional square balers are well appreciated in more than 40 countries for their performance, reliability and easy maintenance. So, what makes Cicoria balers stand out from other baling machines in the market today. Heavy bales: Cicoria balers have a long plunger stroke which is 5cm longer than other machines, this feature creates high rate of compaction on any type of crop hence heavy bales. High productivity : thanks to the wide feed opening that has been engineered to push high volume of straws in the bale chamber and a strong gearbox to withstand the heavy loads hence producing more bales per hour. To be precise, the working rate of Cicoria balers is six bales per minute. Strong knotter system : Cicoria balers equipped with the most reliable knotting system for proved reliability, are strong and easy to maintain. Smooth crop flow : With a pick up width of 1.6m, 4-rows of pick up tines, tine spacing of 82mm and an adjustable height control wheel. Needle protection : Cicoria balers are equipped with needle shear bolt and flywheel shear bolt that protects the needle from breakage should there be an obstacle in the bale chamber, furthermore the piston breaks prevents it from harming the needle. Cicoria needles are not rigid and can be easily twisted in case there’s a bend, you don’t need to replace the needle with a new one every time. Bale density adjustments : this is one feature that Cicoria balers owns that’s not found in any type of baler. The bale density can be adjusted both up,down and in both sides, a feature that makes Cicoria baler produce bales of high standards with no spaces inside. Easy maintenance : A part from weekly greasing of knotter system and other moving parts, Cicoria baler is almost maintenance free as the gearbox requires oil filling once in every year. Why you need a Kuhn mower for your hay farm. Lots of hay mowers are currently available in the market, left right and centre, but why do you need to choose a Kuhn mower from the rest? One simple reason I would share with you is the fact that Kuhn mowers are strong, easy to service and are safe from breakage especially on the new Kuhn series mowers currently available in the market. Some disc mowers may look like a Kuhn from outside. However, what is on the inside is more important. Kuhn’s design and construction standards ensure a long life and reliable operation. Assure yourself by taking a closer look on what the series 100 cutter bar has to offer. Withstand the highest loads : special high-capacity bearings fitted in a one piece sealed housing not subject to distortion. Increased service life : disc pinion shaft bearings endure radial force for longest bearing life. This optimum position improves the load balance. Protection should an obstacle be struck : the Protevtadrive system designed to protect the cutter bar gear train and minimizes downtime risks in full season. Highly wear resistant : knife attachment hardware is fully protected. For added safety, heat treated steel cups are welded to the disc. Minimum wear or distortion risks : idler gear fasteners are located in heat treated steel cups. Correct alignment is ensured without the risk of distortion. Long -term reliability : larger diameter gearwheels in high tensile forged steel with reinforced teeth. The disc bearing station can be removed and mounted quickly and easily. A possible repair is carried out at reduced costs from the outside with minimum downtime. Total safety in case an obstacle is struck, the threaded pins of the disc housing are solidly linked to the upper half casing. There is no weak point or risk that they could be ripped off. Today, all high-perfomance farms are aware of the importance of basic forage for their herds. All the extra energy available in the forage is reflected in high productivity and hence high revenues. With KUHN mowers you can count on several features, which helps keeping the forage clean, avoid it is chopped and preserve the swath. Features for an optimized ground pressure and travel range have been put into action on both series. Important parts, as the attachment frame have been reinforced to enhance the machine’s stability even more. The crop should be quickly ejected into the swath and only cut once. Double cutting causes higher crop losses, delays regrowth and increases the power requirement on the tractor. Especially for silage, harvesting at the right stage means gaining the full value of forage plants : sugars, proteins, minerals and dry matter. Therefore, capitalizing on tight weather windows at the stage when the forage is ready, is an important building block to preserve the forage quality. Specific Design of the Cutting Unit. The disc mower’s bevelled knives ensure a high quality clean and even cut.The oval shaped disc as well as the compact and streamlined profile of the cutter reduce soil and crop residue accumulation. An ideal and constant cutting height is obtained by simple adjustment of the top link. Lifting skids are optionally available, if higher cutting heights are required. On KUHN mowers, each pair of discs is driven with a converging rotation. Be sure, No double cutting will degrade your forage. The cutter bar is positioned close to the tractor wheels, ensuring a quick adaptation when driving over rough terrain. An optional mounting of the suspension ensures an optimal balance of the cutter bar. The disc mower flotation, which also allows appropriate working speeds. Should an obstacle be struck, the safety breakaway causes the mower unit to swing slightly backwards. The impact is significantly reduced. You can reset the device simply by reversing.